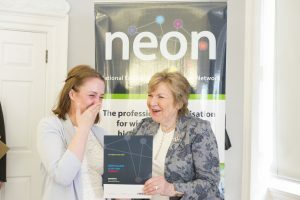 The fourth annual NEON Awards was held this on 16th May 2016 at the RSA. Hosted by The Rt Hon. 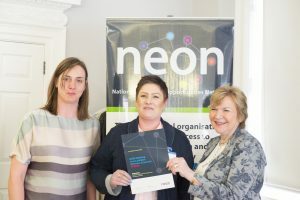 the Baroness Garden of Frognal, the 2017 NEON Awards saw over 50 nominations. 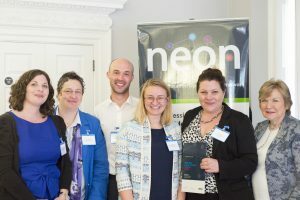 Please see below for the winners and commendations from the 2017 NEON Awards. The Children’s University Trust has a 10 year history of working nationally with 5-14 year-olds to enrich their out of school learning experiences, boost their self-confidence, increase their love of learning, enhance their motivation in school and raise their aspirations. The Trust works in partnership with more than 1,000 schools, 15,000 learning activities and 100,000 young people through its passport initiative. It aims to break the cycle of low expectation and aspiration which can prevent young children, especially those from poorer backgrounds, from fulfilling their potential. The initiative culminates in a graduation in a university, enabling many children and their families to experience university for the first time. The Trust has a particular focus on children from more disadvantaged upbringings recognizing, that when it comes to parity of opportunity and educational outcome, they are being left out and left behind. Independent evaluations of Children’s University show a positive correlation between participation and length of participation and academic performance and raised aspirations. Universities have examined and sought to improve student engagement within the academic context. The Kingston Engagement Programme focuses upon engaging students from under represented backgrounds holistically across their entire university experience. The programme places students at the heart of improving their experience, increasing engagement levels that result in increased feelings of belonging and improvements in retention, academic progression and attainment. The programme recruits students as ‘Connectors’ (health, house-hunting, halls, community, welcome, money). They shape, deliver and inform how and what Student Services should be delivering, whilst working with us to connect students to each other, the services, the University and their community wherever this may be. 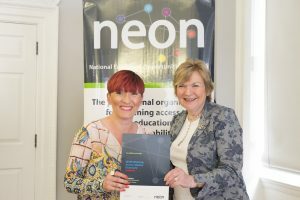 Alongside the Connectors sits a personal development programme that seeks to empower students to make personal change. Sounding boards link the elements of the project together allowing students to voice how they feel about key issues rather than overly used focussed groups that tend to seek an answer to a set of questions. Throughout her undergraduate and postgraduate studies, Beth has made an incredibly significant contribution to all aspects of Kingston University’s widening participation programme. As an undergraduate student Beth accessed Kingston’s KU Cares programme which provides an enhanced package of financial and pastoral support for students that are leaving the care of their local authority. 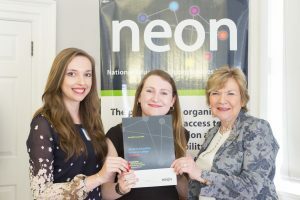 Beth took on the informal role of a student advocate early in her University career, and the insights she provided into the care-experienced student experience have helped shape the development of Kingston University’s award winning support in this area. As a Student Ambassador Beth played a key part in supporting the University’s outreach work with under- represented groups. Beth has always been open in sharing her own experiences in order to inspire, guide and advise young people from all backgrounds in their educational progression. Inder has shown and demonstrated total commitment to Widening Participation since joining Leeds Beckett University in 1991. As Community Development Advisor, Inder worked to improve the life chances of young people from disadvantaged areas through a series of interventions including workshops, summer schools and mentoring programmes. Following the introduction of the Aimhigher Programme, Inder became Head of Widening Participation, leading a team of outreach practitioners to work towards meeting the government target of achieving a 50% participation rate in Higher Education. In order to achieve this, the outreach programme was expanded so that more than 35,000 young people now take part in the programme each year. The work of the team is renowned for its innovation and creativity in engaging young learners. The university was one of the first universities to work closely with Primary Pupils through its Kids@Uni initiative and remains the only university to offer a residential experience specifically for Asian Girls. Inder was recognised for her work in this field in 2013 when she was awarded an MBE for services to Higher Education. The honour, presented to her at Buckingham Palace by HRH Princess Anne was a fitting tribute to Inder’s inspirational leadership and commitment to Widening Participation and Community Development at the university. Kingston is a diverse university that takes a cross-institutional and evidence-based approach to supporting access, success and progression throughout the student lifecycle. Widening participation is an institutional driver that sits at the heart of the University’s mission statement and its strategic plans. Kingston’s well-attended STEM teacher network, its dedicated outreach science ‘labs in a lorry’, its Compact Scheme, Head Start summer school, tailored support for care leavers and Inclusive Curriculum Framework (ICF) not only demonstrate Kingston University’s commitment to widening access, retention and success, but also that Kingston has taken innovative approaches to our work. This work has been central to the significant progress Kingston has made in closing the BME attainment gap and increasing the ‘value added’ score for BME learners. Dyke House Sports and Technology College, Hartlepool works across Year 7 to 13 to combat the impact of coastal isolation on its students and to fulfill the vision that every child can aspire to maximize their potential. Their Aspirations Programme keeps widening participation policy in the forefront of practice. Although only established in the last 3 years, success has been tangible. This academic year alone, over 78% of Year 7-11 students will have been involved in at least one programme or university visit in addition to the Learning Guide programme. In 2015/16, 100% of their Year 13 students received at least one offer and nearly a third of students were accepted into highly selective universities. This year, two out of 40 students received offers from Oxford and Cambridge with 25% of offers received this academic year as a result of involvement in widening participation schemes. Dyke House College employ two full-time graduates to run the Aspirations Programme at pre-16 and post-16 level, enabling a consistent, coherent approach to whole school progression.